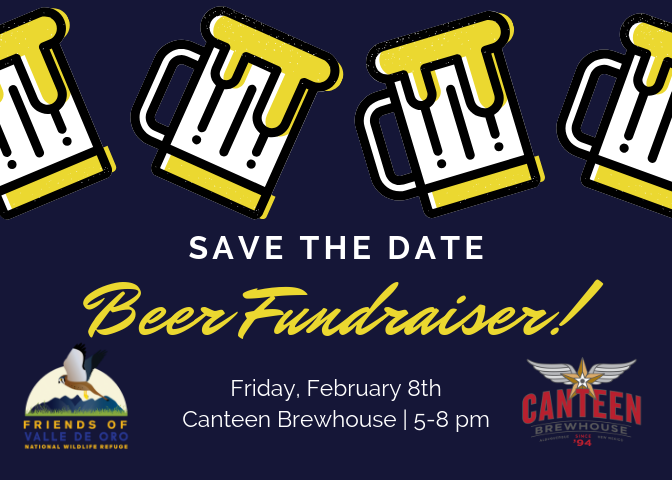 Join us at Canteen Brewhouse for our first beer fundraiser of 2019! Stop by the brewery between 5 and 9 pm, to enjoy our specialty Valle de Oro beer and music. 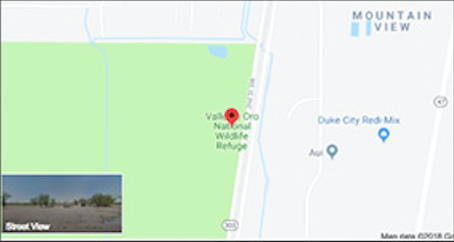 A portion of proceeds from every Valle de Oro beer and commemorative pint glass combo for $10.00 will benefit our work – and you can show your love for the refuge all year long with your pint glass featuring our new 2019 design! 2019 Winter Fundraiser beer, music, and our pint glass design!